A chemical scientist discovered the most ancient solid cheese ever found inside the tomb of Ptahmes, mayor of Memphis in Egypt during the 13th century BCE. Imagine being so old that the American Chemical Society (ACS) devotes an entire press release to your very existence, describing you as a “solidified whitish mass.” Are you mortified? Well that’s how a piece of cheese must have felt yesterday when the ACS announced Dr. Enrico Greco’s lactic discovery inside the tomb of Ptahmes, mayor of Memphis in Egypt during the 13th century BCE. 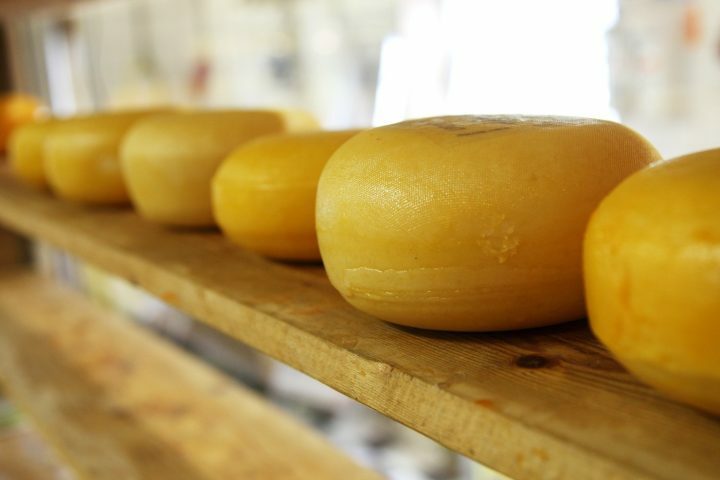 The chemical scientist at Catania University in Italy believes it is the most ancient solid cheese ever found. The tomb was initially unearthed in 1885 by a group of treasure hunters who ransacked the spot, taking innumerable riches — but not the cheese! While most of the plundered artifacts found their way into museum collections across the world, the dairy product remained well hidden in a canvas fabric deep inside the underground lair, whose location was soon obscured by the shifting desert sands. It would take another 125 years for archaeologists from Cairo University to uncover the tomb again, finding several finely preserved stelae in its confines — but still no cheese! But what’s most ghastly about this cheese (besides its 3,300-year-old age) is that researchers could not determine what kind of milk it was made from. Liquid chromatography and mass spectrometry indicate that the sample was either made from cow, sheep, or goat milk. Obviously, there is a vast canyon of difference in taste between these three types of cheeses. What was in the cheese, however, was Brucella melitensis, a bacterium that causes its potentially deadly namesake disease, brucellosis. The illness can spread from animals to people, usually through the consumption of unpasteurized milk. If the team’s preliminary analysis is confirmed, the sample would represent the earliest reported biomolecular evidence of brucellosis. It would also join a list of about a thousand other reasons not to buy into the unpasteurized cheese trend sweeping hipster neighborhoods everywhere.